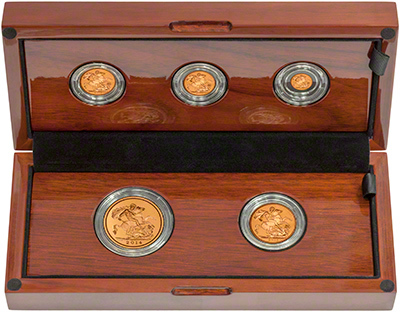 The five coin set contains the five coins of the sovereign family - from the £5 down to the quarter sovereign. 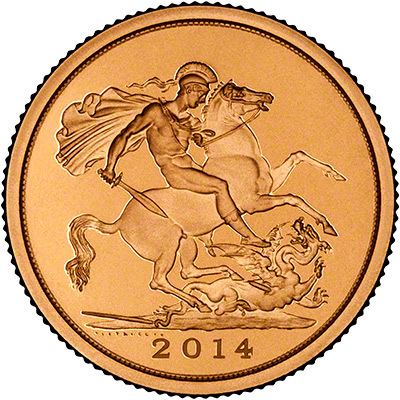 We received these during late December 2013 and are able to offer them at over £200 cheaper than The Royal Mint. The issue limit is 1,000 sets. When compared to the Royal Mint price of £3,300.00 you will make a saving of £105.00 per item when ordering from us. From two pounds to half sovereign.